People warned Donald Trump about Robert “the Fixer” Mueller. They said Trump’s testimony to Mueller put the president in the perjury trap. After all, Mueller got General Michael Flynn on a technicality. Because Mueller is wily. Perhaps. But he’s not smarter than President Trump. Trump sent his responses, now what? Spoiler alert: Now nothing! The reason is simple. Trump didn’t lie. Further, he doesn’t take sh*t from low-lifes like Mueller. But things are very different for disgraced former FBI Director James Comey. He cannot avoid the perjury trap, because he is a liar. And you can bet that during his “Lie-A-Palooza”, Republicans were ready to spring the traps. Former FBI Director James Comey arrived on Capitol Hill Friday morning for a grilling before the House Judiciary and Oversight Committees. During the closed-door hearing, GOP members were expected to focus on how FBI and Justice Department handled the Hillary Clinton email probe and launch of the Russia investigation surrounding President Trump. “I’ve got lots of questions,” said Rep. Jim Jordan (R-Ohio) as he walked into the hearing room. The interview comes as GOP lawmakers are wrapping up a yearlong investigation into decisions made at the Justice Department during the 2016 presidential election. Republicans argue that department officials were biased against Trump as they started an investigation into his campaign’s ties with Russia and cleared Clinton in a separate investigation into her email use. 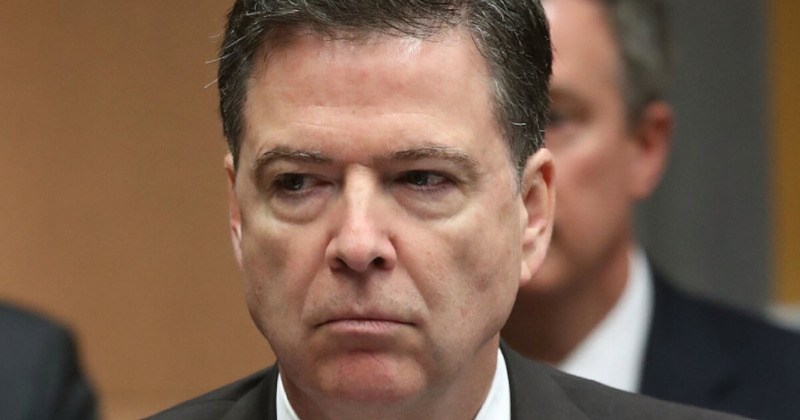 Comey no longer flies under the radar, because he has no protection. The investigation that dragged out in order to drown Trump and his administration grew legs. However, now the sunlight shines on the real criminals. And Comey is only the beginning. Don’t forget the other players who performed. Andrew McCabe for starters. Anybody think he’s just a bit curious as to Comey’s closed-door testimony? Peter Strzok. Think he acted alone? His text messages indicate that he didn’t. Lisa Page has already testified to much. And there are many others. What did Comey not know they had when he walked into the perjury trap? With the case now migrating to Democrats like the Podesta brothers, there are new developments. One that involves both Comey and Mueller involves HSBC. Understand that Robert Swan Mueller III was FBI Director from 2001 to 2013. Jim Comey is named to Bill Browder’s Board of Directors of Hermitage Capital Management (HSBC). Browder is the founder and CEO of HSBC. An interesting aside, Browder is wanted in Russia for tax evasion. And Russian President Vladimir Putin contends that Browder donated $400 million to Hillary Clinton’s campaign. In 2012, the largest bank of England, HSBC Holdings, was deep into a scandal. The 2012 Department of Justice settlement with international bank HSBC over hundreds of millions of dollars in criminal money-laundering for drug cartels and terrorist groups. The settlement was announced in a Department of Justice press release dated Dec. 11, 2012. In the deferred prosecution agreement, HSBC admitted criminal violations of the Bank Secrecy Act (BSA), the International Emergency Economic Powers Act (IEEPA), and the Trading with the Enemy Act (TWEA). They stipulated to money-laundering at least $881 million through the U.S. financial system. Next, they admitted to laundering an unspecified amount of money from sanctioned countries including Iran, Cuba, Sudan, Libya, and Burma. In exchange for the Department of Justice agreeing not to file criminal indictments against HSBC’s directors, officers, or employees, HSBC agreed to pay $1.256 billion as part of the deferred prosecution agreement. They incurred another $665 million in civil penalties. I can only imagine the dossier Rep Jim Jordan had on Comey going into this meeting. So I anxiously await the transcript. And you will know how bad things are by the spin of the Left.